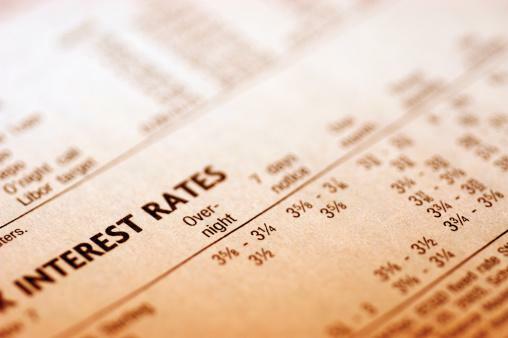 Interest rates have been steadily increasing over the last year. So, if you’re thinking of taking out a large loan in the near future, you might be waiting until those rates start going down again. Experts predict interest rates on financial products will continue increasing throughout the year. It’s not looking great for those who are taking out a short-term loan, either. Experts claim 2018 will see three interest rate hikes, each being 0.25%. If you need to borrow money, it’s best to do it sooner rather than later. Unemployment rates are down, but wage growth continues to crawl at an almost nonexistent pace. This, in turn, leads to limited price growth, which keeps the inflation rate stagnant. However, the feds are expecting wage growth to finally kick off in 2018, setting into motion an uptick in inflation and price growth. The government wants to stay ahead of any surge in inflation. They do so by increasing their interest rates even before there is clear evidence of an inflation peak. Financial institutions and credit card companies pattern their own interest rates after the government’s rate. Therefore, it’s best to work on aggressively paying down outstanding debt you have before you’re hit with increased interest rates. Long-term interest rates have been rising since December. This is largely due to the growing government deficit that’s linked to recent tax cuts. The pending two-year budget plan will put the government even deeper into the red, likely causing those rates to climb even higher. Mortgage interest rates are now at an all-time high; they are currently close to 4.6% and are up more than .20% from a year ago. For the most part, mortgage rates are linked to bond yields. When bond yields rise, so do mortgage rates. The recent tax overhaul caused investors to favor stocks over bonds, and consequently, mortgage rates have been climbing since September. Some experts are predicting a turnaround for mortgages in 2018, with the rates possibly dipping below 4% sometime this year. However, all agree that by year’s end, the mortgage rate will settle at 4.5%. No one can be certain of anything, though, and waiting until the rates drop might prove to be pointless. In fact, you might even end up paying a higher rate for that delay. Experts predict a great year for returns on savings, especially CDs. Some claim an average one-year CD will yield a 0.7% return by the end of 2018. So, if you’ve been thinking about opening a share certificate or other savings options, talk with Health Care Family Credit Union to get started. Volatile economy got you stressed? Call, click or stop by the credit union. We’ll guide you through any financial turn!